Deathrite shaman and the stack. I feel like this deck relies very heavily on having Magistrate's Scepter . Without it, you lose quite quickly.Consider adding artifact searching cards like Trophy Mage , Fabricate , or Whir of Invention . Whir is fairly good in this deck since you get plenty of mana, and the fact that it puts it directly into play at instant speed can pretty much end the game on the spot. Also playing whir lets you play one-ofs of niche hate cards like Witchbane Orb , or the more expensive Ensnaring Bridge . I would cut Divination for these. New Kefnet is insane with any hand-to-library engine ( Jace, the Mind Sculptor , Scroll Rack , etc.). You can set up an infinite engine of casting the copy, putting the original back, then drawing it again to cast the copy. 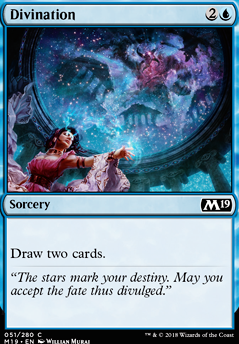 Like...even Divination is nuts. You get to ": Draw 2 cards" each turn. Dissolve might be a useful addition to this deck. Vortex Elemental and Thassa's Devourer are also fun additions to consider. Thassa's Emissary is quite fun. Divination is decent card draw. Other than that I have no suggestions. This deck looks fun! Hello! Be most welcome to MTG! I wish you the best duels and adventures with this great community! Also, some of the creatures need rework in my opinion. I would replace Gate Colossus , because although it is a good creature with good synergy with the gates, it is very slow. You need speed and control on this deck to get the most of it. What about Crackling Drake – Enigma Drake – Arclight Phoenix in this slot? 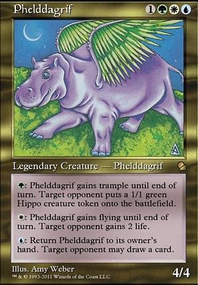 I would replace Pteramander for Guttersnipe or maybe more burn spells like Skewer the Critics . 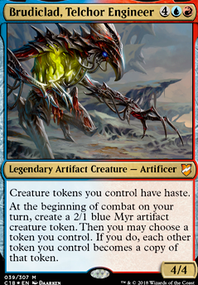 Cloudius on PDH-Are my creatures vanishing or is it your deck? +1 for an interesting take on PDH mill. With both the Wizard and Drake in play, cast Flicker or Displace to blink them. 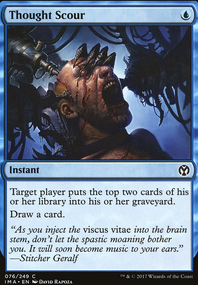 Return the blink card using Wizard's ETB trigger. Rinse and repeat to generate infinite mana. Next blink the Wizard and your Commander as many times as needed to win the game. 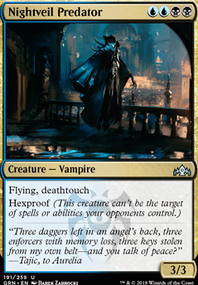 You can exclude the Drake if you're not a fan of infinite combos and just blink the Wizard and your Commander once for every spent. There's also Mnemonic Wall if you need more recursion. 2) Banishing Knack - Redundancy for Retraction Helix. 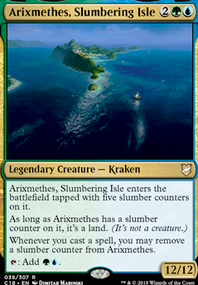 3) Darting Merfolk / Dream Stalker - Can return itself to your hand, so essentially, a more expensive Shrieking Drake, just in case you need more options. 4) Temporal Fissure - Pauper's Cyclonic Rift since PDH games usually last longer and it is common for us to have 10 lands/mana sources out. You can easily play and bounce Drake 5 times and cast this for massive bounce shenanigans. 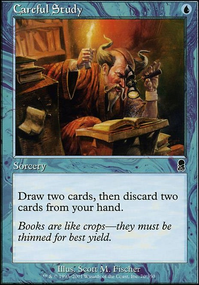 Preordain , Serum Visions , Divination , Counsel of the Soratami , Secrets of the Golden City , just to name a few popular ones.